WITH FINE SAND TEXTURED ACCU-GRIP available in the 3 MOST POPULAR GAUGES 0.60, 0.80, 1.00. ALL NEW FOR 2018 OUR ULTRA-SAND COOL PICKS. Made just like our popular original Ultra-Cool SR series but with a fine sand textured coating instead of our nubby rubberized grip found on the original ULTRA SR series. This new material offers the buttery feel of a nylon pick with a super crisp attack exceeding that of celluloid. This style has a slightly warmer sound then the original ultra-cool SR series line. Clean & True to your guitar’s own tone. Hear & feel it for yourself. Harmonically resonant micro-fiber technology is the key. It sounds like titanium, glass or similar resonant material! We have used our patented AGT (APPLIED GRIP TECHNOLOGY) to help keep the pick in your hand comfortably. 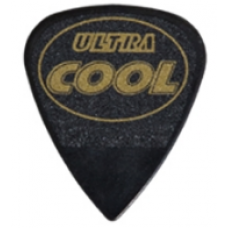 A super fine powdered sand textured accu-grip has been added to ensure a Positive grip on this AWESOME, CUTTING EDGE PICK. SERIOUS PICKS FOR SERIOUS PLAYERS!